So what is B&P? 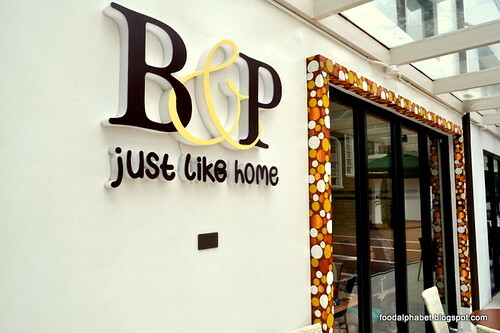 B&P stands for Bea and Pia, named after the owners as they relive their fun nostalgic glimpses of their childhood days and enjoy home-cooked comfort foods, freshly prepared food choices and a very homey ambiance, that is surely to make you feel at home. B&P presents food choices perfect for everyone in the family, from breakfast specialties served all-day, healthy get fit choices, Chef's specialties, Hall of famers that will rock your world, omelettes and scrambles, your favorite pasta dishes, and good ol' dessert must haves, you will surely feel at home with B&P. 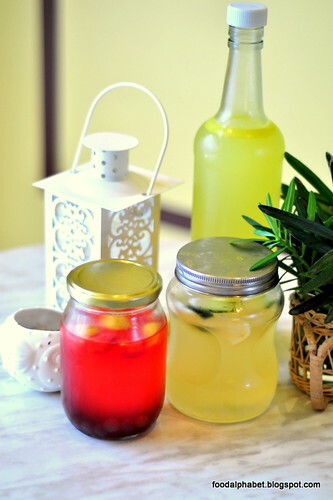 Apart from the witty dish names, the restaurant's unique spin on popular comfort foods will surely let you crave for more, using mostly organic ingredients, executive Chef Boom Jota makes sure that much love and care has been infused in making each home-cooked meal special for you. 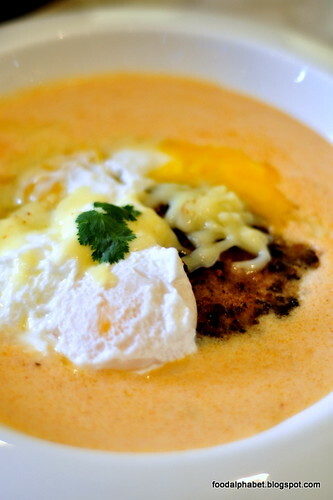 An exquisite dish indeed, with two poached eggs topped with beef patty, melted Swiss cheese and a rich spicy buttermilk cream sauce, pair it with bread, pair it with rice, it goes perfect with everything, don't waste the sauce, the buttermilk milk cream sauce is so rich, I can have it as my sandwich spread eveyday! Love it! 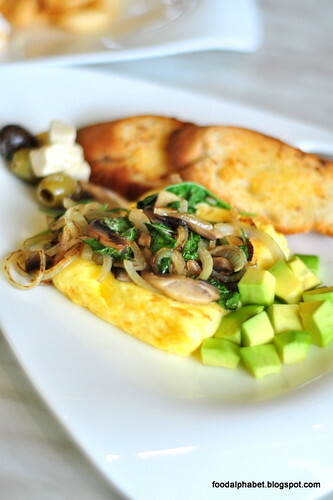 Grilled onions, spinach, mushrooms and avocado coupled with olives and slices of french garlic bread, this is one of their signature omelet dishes, available all day! Craving for some protein? 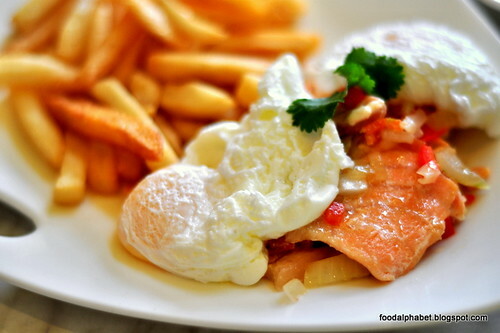 Then Salmon Hash and eggs is perfect for you, with fresh salmon, sauteed with garlic, pepper, onion and poached eggs then served with a side of homemade fries. Salmon slices were cooked just right, with a sweet after taste, you'd know from the first bite, how fresh the salmon was. 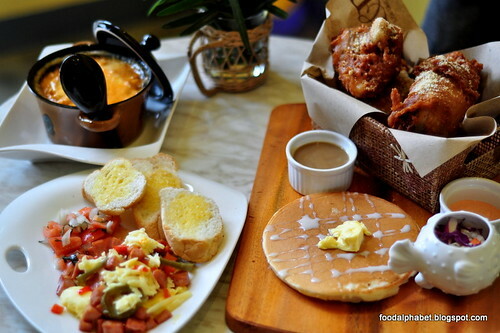 This is a complete meal in one! Sausage, ham, mesquite chicken, capsicums, mushrooms, olives and cheddar cheese, so much love in one plate, I'm sure mom's know best! 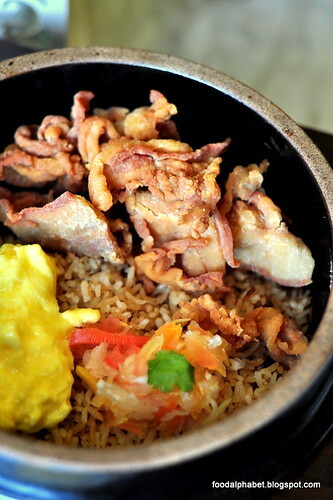 Don Malutong, a crispy pork belly served with garlic rice, choice of egg and papaya relish. 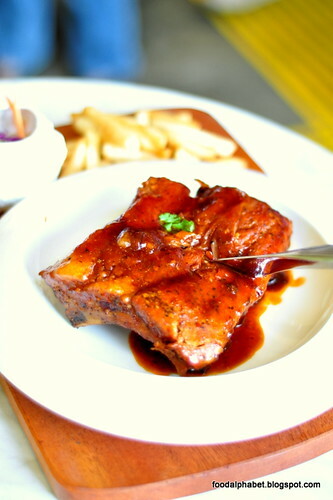 Dip your crispy pork belly in white vinegar and enjoy heaven in a bite, perfect with garlic rice, I would love to have this every day for breakfast, or maybe lunch and even dinner, you can never go wrong with crispy pork belly. For the beef lovers, don't you just hate it when your beef tapa is dry, hard and basically not the tapa you would to be served to you to start your day? Well, B&P made the perfect tapa with Primera Tapa. 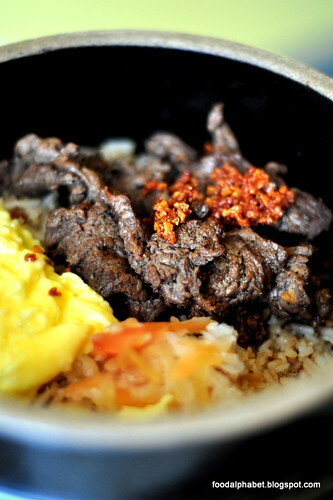 Choice Premium Angus Beef tapa served with garlic rice, scrambled egg and pickled relish, soft and tasty with a hint of garlic, perfect to jump start your day. A hefty serving good enough for 2 - 3, really! Perfect with garlic rice, I would highly recommend this for everyone. Oh by the way I found the crunchiest, crispiest, juiciest chicken in town!!! And it's here at B&P, I am so happy that B&P took the time, took the effort and made one of the tastiest fried chicken I have ever tasted in my whole life! And yeah chicken is my weakness, I admit. Half chicken simmered in herbs and spices, coated in B&P's very own buttermilk batter then deep fried to perfection, served with homemade french toast and peppered gravy and sour cream dip. 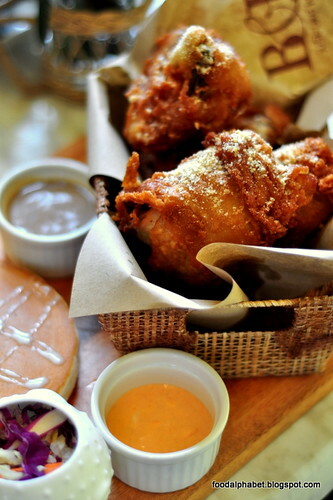 I love how crisp the batter is and how it infuses with the chicken, leaving with you the sweet scent of buttermilk and the juices that flows so rich in flavor. 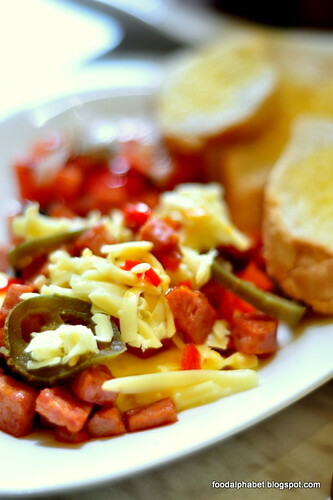 You'll probably be turning heads when this dish comes of the kitchen as the scent is just irresistable. The serving size is more than enough for 2 and is best shared, but if you really have that appetite then by all means, indulge! Don't forget you still have a pancake to go with it. Now comes dessert, the triple decker is made up of three layers of pancakes filled with nutella, fresh banana slices and caramel then topped with whipped cream. 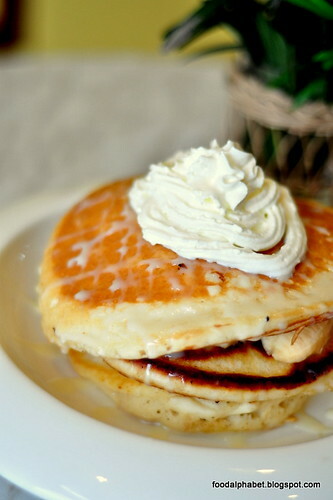 What I love about their pancakes is that the fact that they don't stick to your teeth, thick and fluffy, you would wonder how in the world can they make pancakes as good as it looks. Try their triple decker anytime, any day, never fails to bring that smile to you face. 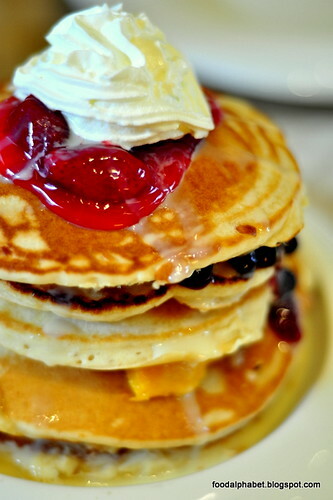 And if you really love pancakes, then take on B&P's Pancake Supreme with five layers of pancake filled with strawberries, blueberries, bananas, orange and mango, served with whipped butter and luscious assorted syrup. It's what you call the Mother of all pancakes! 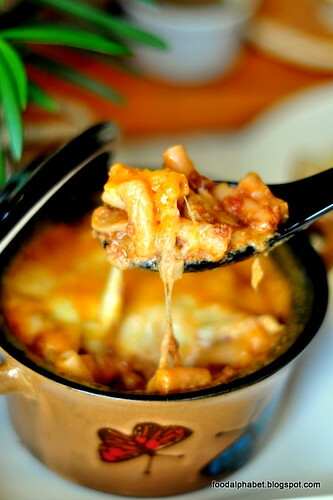 Be sure you are super hungry for this! One serving serves 3 - 4 at least! 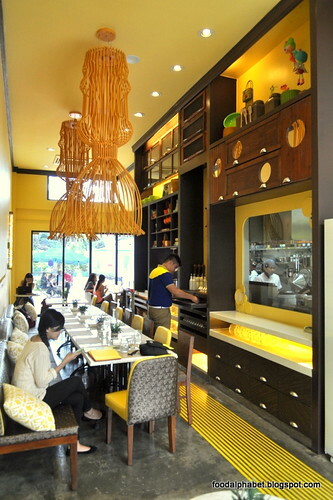 Feel at home with B&P, adorned by cozy interiors and a very homey feel, we won't blame you if you do consider this your second home. 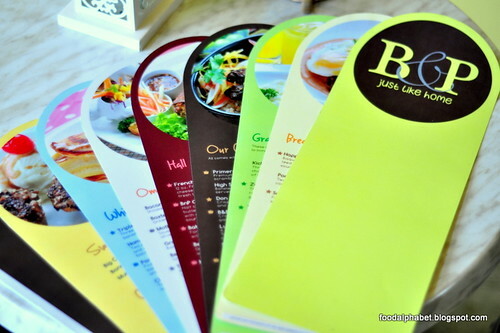 Grab a bite with family and friends, work mates and school mates, B&P has got everything you would ever crave for.